How deep does the world need to cut greenhouse gas emissions to stabilize the Earth’s temperature? Have you ever wanted to see what level of global climate action is required to stay below 2°C of warming? Do you want to hold the fate of the world’s climate in the palm of your hand? Climate Pathways is the first-ever application to simulate global temperature change on a mobile device. We’re excited to release an update that modernizes the app and provides the latest climate science. The app works on every screen size and resolution, and will continue working in iOS 11 and beyond. If you’ve been using Climate Pathways in your classes or on the bus, then you already have the update waiting for you in the App Store. 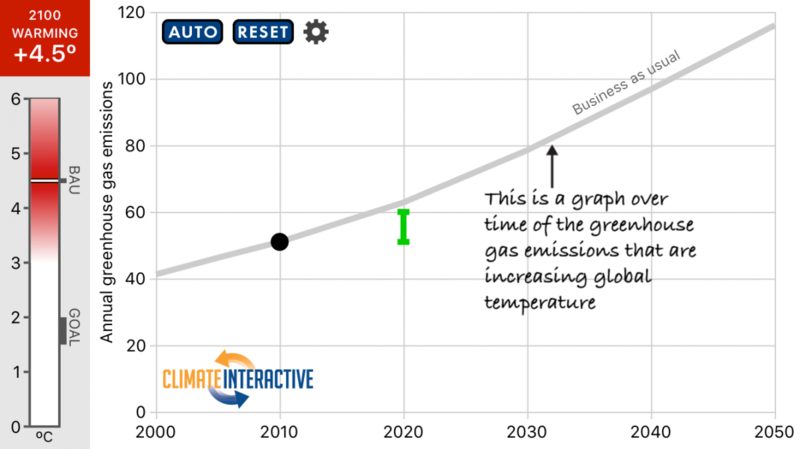 If you haven’t tried Climate Pathways yet, what you waiting for? We’d love to have your feedback about the simple yet rigorous app. Do you have a burning question that would benefit from having an interactive simulator? Let us know. We’re interested in making more small, useful applications that can help answer the important questions on climate change action.